No doubt you have been watching the news coverage of the incredible damage that Hurricane Harvey has left behind in Texas. Buildings destroyed, homes wrecked, lives destroyed and flooding beyond belief. I have a cousinliving in Houston but thankfully she fled to Dallas to be with her daughter. Others were not so lucky and I know many parishioners have friends and relatives suffering in Texas. Let us continue to pray for those so adversely affected by the hurricane. “As the Archbishop of Galveston-Houston, this crisis hits very close to home. In solidarity with my brother bishops in this area of the country, I call on people of faith to pray for all of those who have been impacted by this Hurricane, and I ask people of good will to stand with the victims and their families. We need to continue to pray for the relief efforts, the rescuers, and the many victims. But we can also help with solidarity and support through generous donations. All funds collected for OLM Outreach during the month of September are being dedicated to Hurricane Harvey Relief Efforts under the direction of Catholic Charities USA. There is more information about this effort in the bulletin and links are available online at the parish website. If you care to donate, simply make a check payable to OLM Outreach with “Hurricane Relief” in the memo and drop it in the collection basket at Sunday Mass. The damage from Hurricane Harvey is absolutely staggering. The latest news reports suggest that five people have been reported dead and many more missing. 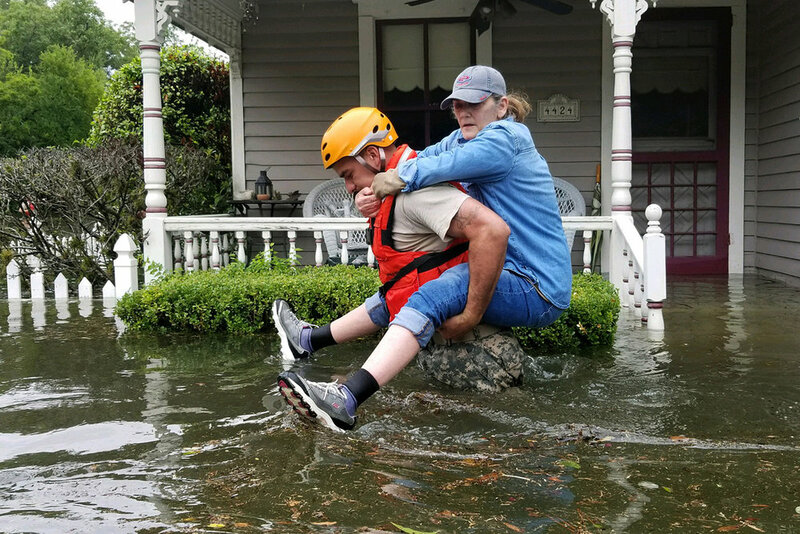 The early estimate is that the long-term recovery needs in Houston are beyond $20 billion and this does not include the other major cites like Rockport, Corpus Christi, Victoria, and the hard hit rural areas of Austin. Let us continue to pray for our brothers and sisters in Texas and offer our support and solidarity. We celebrate Labor Day this weekend and so we pray for all working men and women and all those who seek the dignity of work. As Catholics we should remember thatthe moral and philosophical framework that energized and sustained the struggles of working women and men in the early days of organized labor are found in Catholic teaching. On Labor Day we pray for workers, for a just wage for all workers, for a deeper respect of the dignity that work provides people and for an increase of opportunities for good jobs. Pope Francis reminds us: “Power, money, and culture do not give us dignity. Work, honest work, gives us dignity." Happy Labor Day! Do good. Be well. God Bless!! Go Sox!! Pray for Texas! !